Alzheimer's disease is perhaps the most important of all the degenerative diseases because of its frequent occurrence and devastating nature. It is the most common cause of dementia in the elderly, with all that this implies in the way of distress for patients and families and economic loss in the form of the costs entailed in the long-term care of the patients totally disabled by the disease. Memory Support : 2 capsules twice daily after meals. Brahmi: 1 capsule twice daily. Brahmi Chawyanprash: 2 teaspoons twice daily anytime (preferably with diluted milk). 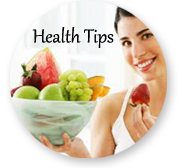 Ashwagandha: 1 capsule twice daily after meals. There is no specific cause for this disorder and it mainly indicates an abnormal breakdown of acetylcholine. Though, the cause is not specific, its effect is clear. Alzheimer's disease damages the brain cells. The onset is insidious and subtle, with changes most noticeable first in memory for recent happenings and in other aspects of mental activity. Psychiatric disturbances such as depression, anxiety, odd, unpredictable quirks of behavior, delusions and hallucinations may be salient features in the early stages. Progression is usually gradual and slow, and unless other medical conditions supervene, it may smolder on for 10 more years. More unusual disorders of thought and intellect, including aphasia, apraxic disturbances and abnormalities of space perception, may be seen, especially in the presenile group. Exceptionally, and only in the advanced stages of the disease, extra pyramidal signs appear; the patient walks in a shuffling manner with short steps, and there is a generalized stiffness of the musculature with slowness and awkwardness of all movements. In some patients, sudden jerk like contractions of various muscles may occur in the presence of otherwise typical Alzheimer's disease, but this is unusual and should immediately raise the suspicion of Creutzfeldt-Jakob disease. Terminally, the patient may become nearly decorticate, losing all ability to perceive, think, speak or move. In this disorder, there is an abnormal breakdown of acetylcholine. Therefore cholinesterase inhibitors are indicated to block the breakdown of acetylcholine. The commonly prescribed drugs are donepezil hydrochloride, rivastimgine, galantamine and tacrine. Most of the physicians recommend donepezil hydrochloride and it is useful in treating mild, moderate and severe stages of Alzheimer's disease. While tacrine is not much preferred because of its undesirable side effects. According to Ayurveda's perspectives the Satvika guna is found to deteriorate in case of Alzheimer's disease. The Mano doshas such as Rajas and Tamas are found to predominate in this disorder. According to Ayurveda, this disease can be prevented easily rather than treating it. And this is possible by approaching a balanced healthy lifestyle. In Ayurveda, there are certain herbs that are useful in rejuvenating the cells of the body and to improve the vitality of the body. Some of the herbs are powerful anti-oxidants that are useful in improving the quality of life by making us active, free from lethargic, and also preventing from loss of memory, depression etc that are prevalent in old age. And this is possible by maintaining a balanced healthy lifestyle and having certain Ayurvedic herbs that are useful in improving the above mentioned functions. Also by Panchakarma treatment like Shirobasthi and Shirodhara, proper nourishment is provided to the cells of the brain and with this the patient is free from insomnia, depression, dementia, nervous weakness etc. 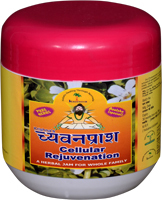 These Herbal Products are useful in improving the proper functioning of the body even in case of old age. 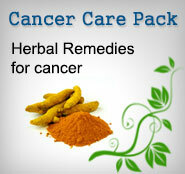 These products are pure herbal extracts that are useful in preventing the degenerative disease.